Painting & prints of Skye - The Cuillin, Skye from Applecross, Scottish Highlands. An original painting & prints of The Isle of Skye & The Cuillin from Applecross, Scottish Highlands. 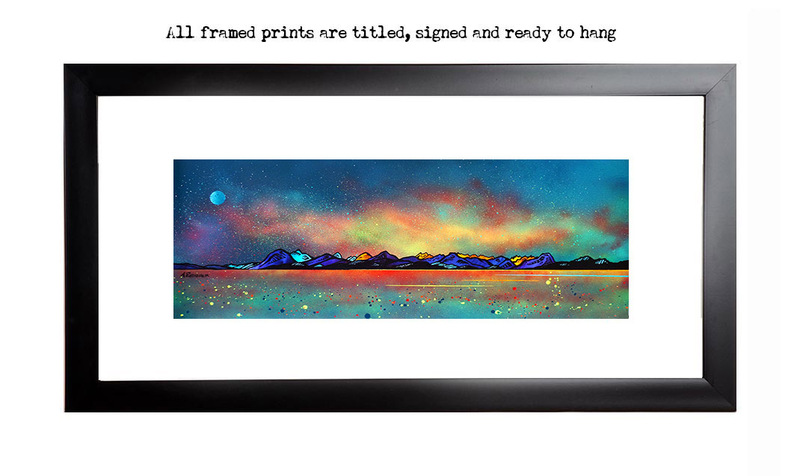 An original painting & prints of The Milky Way over The Isle of Skye & The Cuillin from Applecross, Scottish Highlands. An original abstract, atmospheric seascape / landscape painting of The Milky Way glowing over The Isle of Skye, & The Cuillin from Applecross, Scottish Highlands. Skye, Applecross prints - Milky Way Over Skye & The Cuillin from Applecross, Scottish Highlands.